Time for a huge post about everything that has happened since my last post. Let me start by talking about the Malmø Derby Festival. What an amazing experience! It was very much fun skating with and getting to know girls from other leagues here in Norway. I was also fortunate enough to get to play all three games the Nor Thugs played, so lots of bouting experience for me! I also participated in both of the mixed scrimmages, and got to skate with lots of great players from all over the nordic countries. The norwegian team, the Nor Thugs, came in third place out of four in the tournament. We lost against both Finland and Sweden, but managed to win against the danish team! 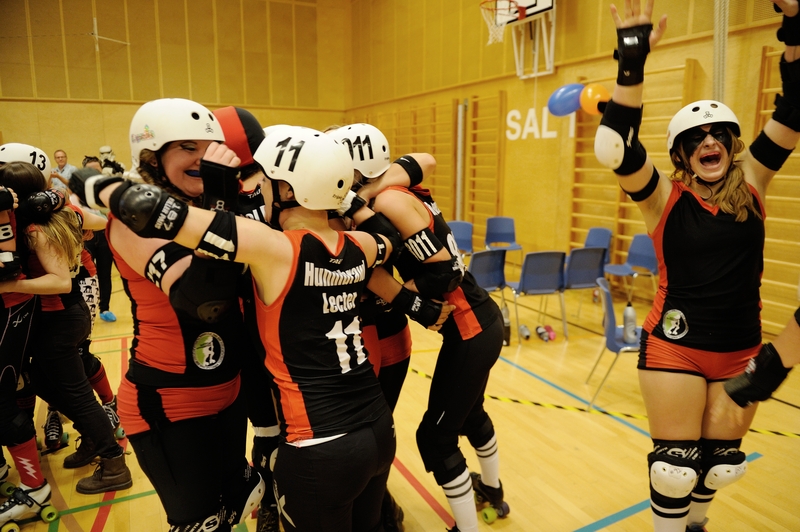 Last year the Norwegian team came in forth place, so this shows that Norwegian roller derby is improving! I can’t wait to see what happens next year, and I seriously hope I’ll make the team again! So. Much. Fun! The rest of the summer was kind of uneventful for me, derby-wise. I skated outdoors a couple of times and dreamt of being back in Trondheim at practice with the rest of my teammates. When derby practices did resume after the vacation we had to skate outdoors for a couple of weeks, as the venues we use for practice were closed for different reasons until the 1st of september. 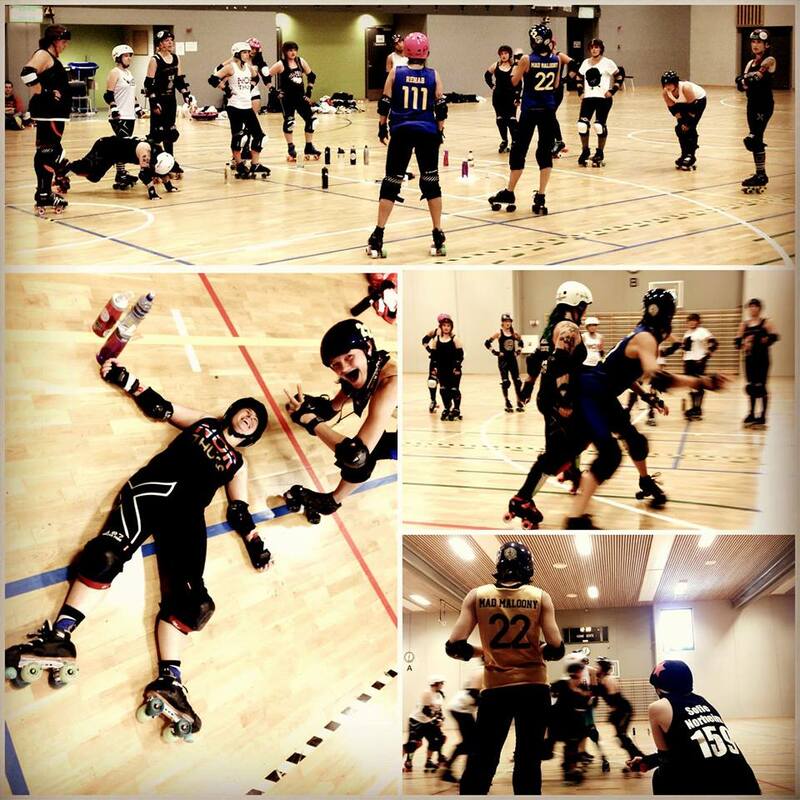 That first weekend of september we kickstarted the season for real with an awesome bootcamp with trainers Mad Maloony and Ruby Rehab from Stockholm Roller Derby. It was one of the most tiresome weekends I can remember, but I also learned shitloads. 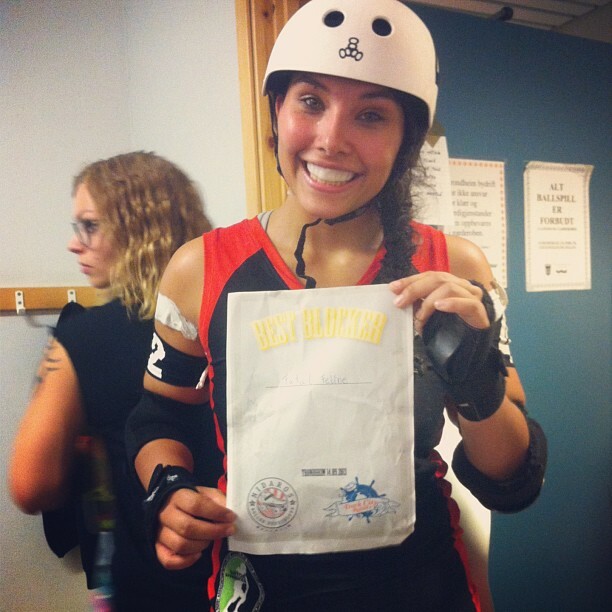 During that weekend I also celebrated my first Derbyversary! I’v skated for one year, imagine that! 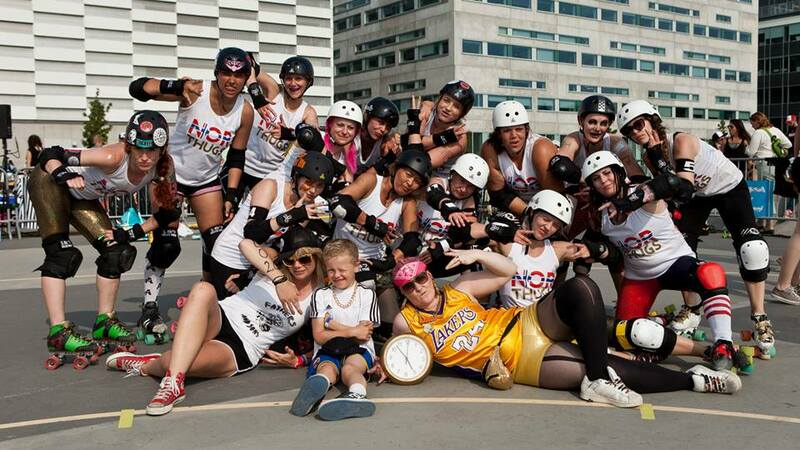 The 14th of september, we played this seasons first bout against the fierce ladies from Dock City Rollers. We were certain that this would be our hardest bout yet. The predicted score was 98-200 in favor of Dock City. We were determined to do better than the predicted score, but we were prepared that we might lose. In the first half we played terrible. We were clumsy, we got a lot of penalties and committed stupid mistakes. By halftime the score was 59-131 in favor of Dock City. But, during the last five minutes of the first half we had started to play our game, and had slowly started to get some more points. We managed to continue that good streak in the second half, and after a nail biting last ten minutes we emerged victorious! Final score 205 – 194! That win is one of the best experiences ever, it is impossible to describe how happy I felt. After our win the entire team laid down on the track in a gigantic, sweaty, crying heap. And if that is not all, I was named Best Blocker for our team! Holy crap! I can’t even try to explain how much that means to me. Huge! And also hearing my teammates tell me they think it was deserved as well. I am humbled and awed and happy and grateful. It’s a great feeling to have your hard work paying off! Now I’m supermotivated to continue my regime, go to all of the practices to gain the skills and go to the gym as I have been all summer to gain strenght and endurance. Team Norway next! Just poking in to say hi, and that I haven’t forgotten this blog. Im just in the middle of exams right now, so blogging is getting deprioritized. But, I’m probably going to get bored during the summer months and blog a lot again. 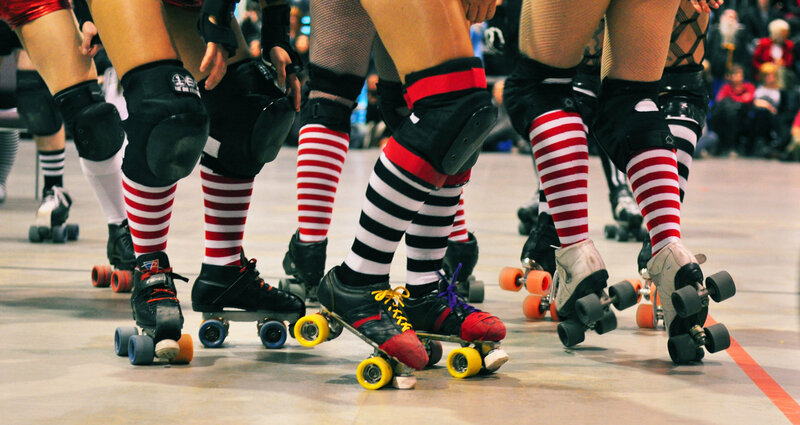 And there is actually some fun derbystuff happening during the summer too, the Malmø Derby Festival for instance, so I do have something to blog about.